DENPASAR, Indonesia, Nov 29 (Reuters) - The airport on the Indonesian holiday island of Bali reopened on Wednesday as wind blew away ash spewed out by a volcano, giving airlines a window to get tourists out while authorities stepped up efforts to get thousands of villagers to move to safety. Operations at the airport - the second-busiest in Indonesia - have been disrupted since the weekend when Mount Agung, in east Bali, began belching out huge clouds of smoke and ash, and authorities warned of an "imminent threat" of a major eruption. "Bali's international airport started operating normally," air traffic control provider AirNav said in a statement, adding that operations resumed at 2:28 p.m. (0628 GMT). Mount Agung volcano erupts as seen from Culik Village, Karangasem, Bali, Indonesia November 26, 2017 in this photo taken by Antara Foto. Antara Foto/Nyoman Budhiana/ via REUTERS ATTENTION EDITORS - THIS IMAGE HAS BEEN SUPPLIED BY A THIRD PARTY. MANDATORY CREDIT. INDONESIA OUT. NO COMMERCIAL OR EDITORIAL SALES IN INDONESIA.? 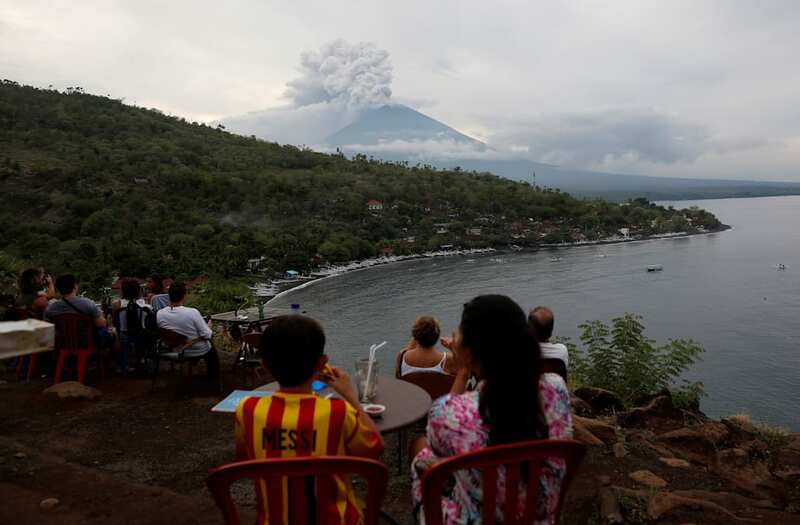 Tourists watch the eruption of Mount Agung at a restaurant on Jemeluk Beach, Amed, Karangasem, Bali, November 26, 2017 in this photo taken by Antara Foto. Antara Foto/Nyoman Budhiana/ via REUTERS ATTENTION EDITORS - THIS IMAGE HAS BEEN SUPPLIED BY A THIRD PARTY. MANDATORY CREDIT. INDONESIA OUT. NO COMMERCIAL OR EDITORIAL SALES IN INDONESIA. Mount Agung volcano erupts, as seen from Culik Village, Karangasem, Bali, Indonesia November 26, 2017 in this photo taken by Antara Foto. Antara Foto/Nyoman Budhiana/ via REUTERS ATTENTION EDITORS - THIS IMAGE HAS BEEN SUPPLIED BY A THIRD PARTY. MANDATORY CREDIT. INDONESIA OUT. NO COMMERCIAL OR EDITORIAL SALES IN INDONESIA. A woman uses an umbrella as she walks through ash from Mount Agung volcano during an eruptiuon in Bebandem Village, Karangasem, Bali, Indonesia November 26, 2017 in this photo taken by Antara Foto. 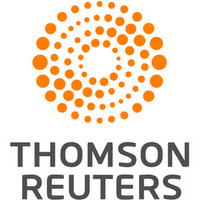 Antara Foto/Fikri Yusuf/via REUTERS ATTENTION EDITORS - THIS IMAGE WAS PROVIDED BY A THIRD PARTY. MANDATORY CREDIT. INDONESIA OUT. NO COMMERCIAL OR EDITORIAL SALES IN INDONESIA. The reopening of the airport, which is about 37 miles away from Mount Agung, followed a downgrade in an aviation warning to one level below the most serious, with the arrival of more favorable winds. "We really hope that we actually get a flight, maybe today or tomorrow, to get back home," said tourist Nathan James, from the Australian city of Brisbane, waiting at the airport. A large plume of white and grey ash and smoke hovered over Agung on Wednesday, after night-time rain partially obscured a fiery glow at its peak. President Joko Widodo begged villagers living in a danger zone around the volcano to move to emergency centers. Sutopo Purwo Nugroho of the disaster mitigation agency said about 43,000 people had heeded advice to take shelter, but an estimated 90,000 to 100,000 people were living in the zone. The decision to resume flights followed an emergency meeting at the airport, when authorities weighing up weather conditions, tests and data from AirNav and other groups. Flight tracking website FlightRadar24 later showed there were flights departing and arriving at the airport although its general manager said if the wind changed direction the airport could be closed again at short notice. Agung looms over eastern Bali to a height of just over 9,800 feet. Its last major eruption in 1963 killed more than 1,000 people and razed several villages. Ash coated cars, roofs and roads to the southeast of the crater on Wednesday and children wore masks as they walked to school. Singapore Airlines Ltd said it would resume flights while Australia's Qantas Airways Ltd said it and budget arm Jetstar would run 16 flights to Australia on Thursday to ferry home 3,800 stranded customers. Singapore Airlines and SilkAir were seeking approval to operate additional flights on Thursday, while budget offshoot Scoot said it would cease offering land and ferry transport to the city of Surabaya, on Java island, as it resumed flights to Bali. Virgin Australia plans to operate up to four recovery flights to Denpasar on Thursday. "As the volcanic activity remains unpredictable, these flights may be canceled at short notice," it said on its website. The head of the weather agency at Bali airport, Bambang Hargiyono, said winds had begun to blow from the north to south, carrying ash toward the neighboring island of Lombok. He said the wind was expected to shift toward the southeast "for the next three days," which should allow flights to operate. As many as 430 domestic and international flights had been disrupted on Wednesday. Authorities are urging villagers living up to 6 milesfrom the volcano to move to emergency centers, but some are reluctant to leave homes and livestock. "Those in the 8- to 10-km radius must truly take refuge for safety," Widodo told reporters. "There must not be any victims."